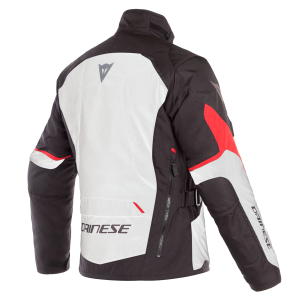 The weather might have turned cold recently, but Dainese’s new D-Dry jackets are designed to keep you on your bike now, and into the warmer months. 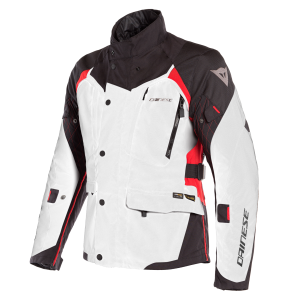 The X-Tourer and Tempest 2 feature Dainese’s D-Dry membrane, which provides an effective barrier to water and air but also allows for the evaporation of perspiration in all weather conditions. Both jackets also come in dedicated women’s styles and sizing, and both are available to buy in UK D-Stores or through the dainese.com website. 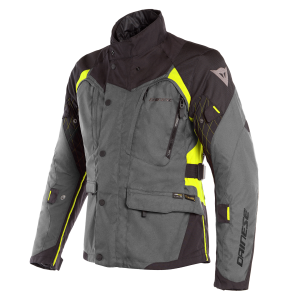 X-Tourer D-Dry combines versatility, comfort and all-weather protection in a unique 3-layer 4-season touring jacket. 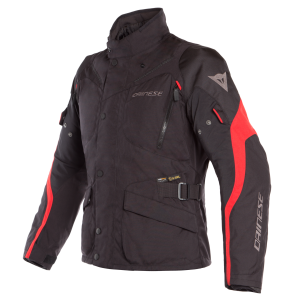 A removable and packable waterproof D-Dry membrane keeps riders dry, while the inner thermal jacket (which can also be worn separately off the bike) makes sure cold is not an issue. 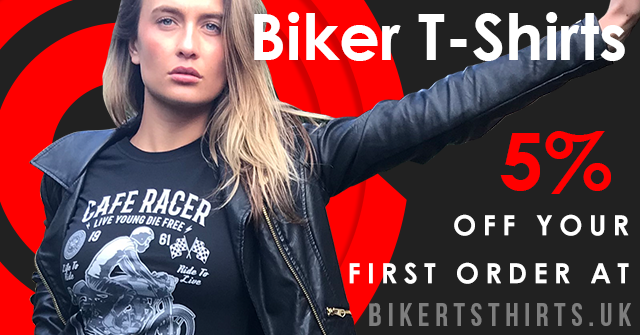 There’s also plenty of room to carry items with two outer pockets on the front, one cargo pocket on the back and three inner pockets – one of which is waterproof. 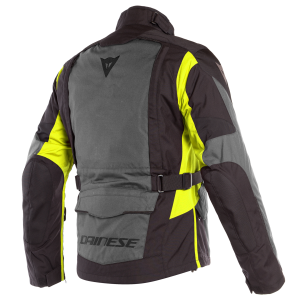 A practical collar hook, two inlet vent zips on the chest and two extraction vent zips on the back ensure the perfect temperature in warm conditions, while Dainese’s own D-Stone™ inserts and removable protectors on the shoulders and elbows provide high-quality protection. 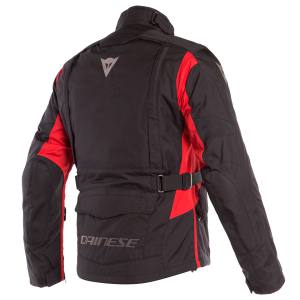 Pockets for the G1 or G2 back protector and double chest protector are included. The X-Tourer D-Dry is available in three colours (ebony/black/fluo-yellow, black/black/tour-red and light-grey/black/tour-red) with UK sizes 34-52 for men and 6-20 for women at an RRP of £399.95. The popular Tempest D-Dry jacket has been reimagined and upgraded with new technology to make it a true 3-season road-touring jacket. 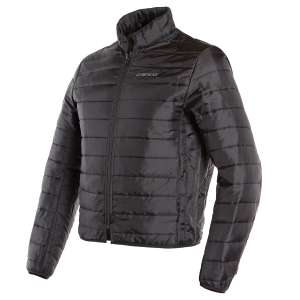 Practicality and comfort are guaranteed in cold and rain, thanks to the D-Dry water repellent membrane and removable inner thermal jacket. 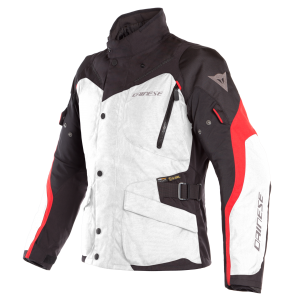 In addition to this, the adjustable waist, sleeves, wrist straps and neck strap ensure a comfortable fit at all times. 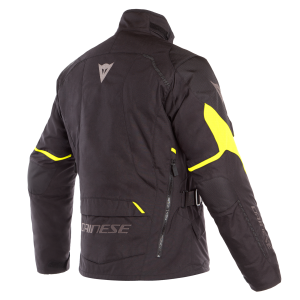 If it does get a little warm, the perfect temperature can be created with two inlet vent zips on the sleeves and chest, and two extraction vent zips on the back. 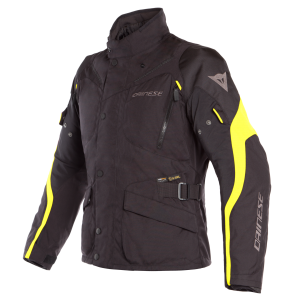 There’s also a place for all the essentials with two outer pockets, two waterproof inner pockets and a cargo pocket on the back. 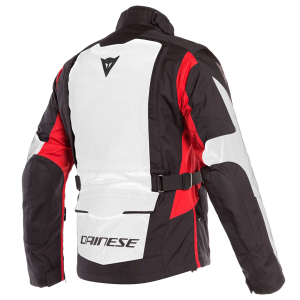 Removable shoulder and elbow composite protectors are included. Available in four colours (black/fluo-yellow, black/ebony, black/tour-red and light-grey/black/tour-red) the Tempest 2 D-Dry comes in UK sizes 34-52 for men and 6-20 for women with an RRP of £269.95.